Present day listeners do not think of Liszt as an operatic composer but during the 1840s, before drafting any of his symphonic poems, his strategic ambition was precisely to become a composer of opera! However only an an unsuccessful juvenile work (Don Sanche) survives – all of his other planned operas of the 1840s and 1850s remained the embryos of ambition. 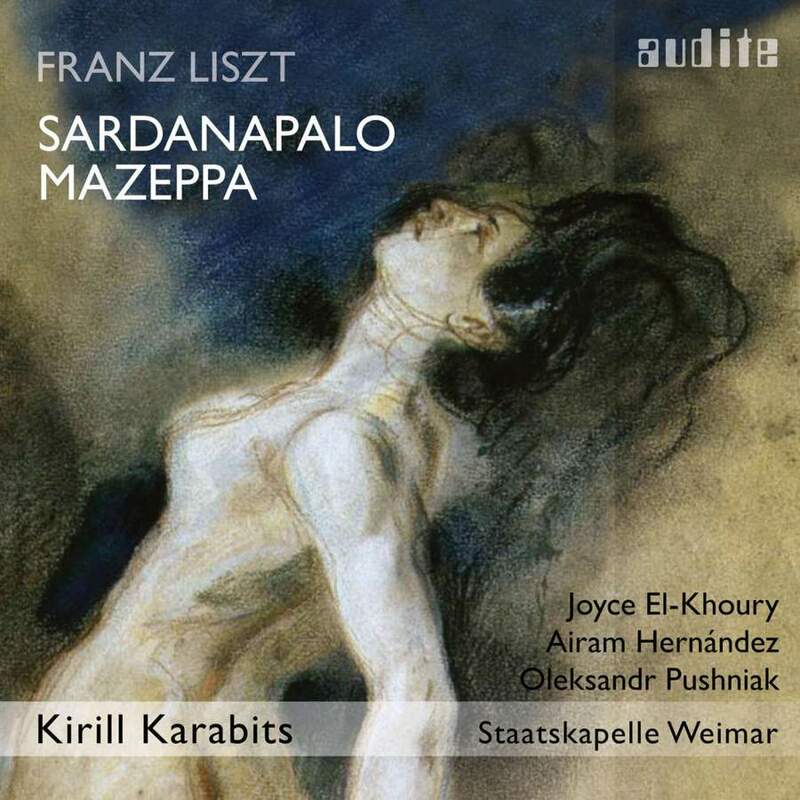 What we have on this release is Sardanapalo: the only mature opera for which Liszt left any significant music. He had composed almost the entire first act before abandoning it thereafter. The score that Liszt left in manuscript is not performable. It was written in a hybrid piano-vocal score, often in shorthand and in some places a great many details are missing but the vocal parts are fully notated and are continuous. Fortunately this was sufficient for a skilled musicologist and cultural historian to put together a score fit performance. Thus this single act was heard for the first time ever last Summer, in Weimar, thanks to the painstaking reconstruction carried out by the Cambridge-based David Trippett. Thanks to his painstaking efforts, we are able to sit at home and hear this operatic act much as Liszt might have envisioned it. We are presented with a fascinating mixture of the Italianate and Germanic. There are some lengthy stretches of bel canto melody interspersed with darker outbursts within the work. Listening to the piece one senses that Liszt is indebted to the world of Bellini and Donizetti whilst there are fascinating glimpses of the sound world of Wagnerian opera. The choral singing is strong throughout and the soloists perform magnificently; coping well with Liszt’s taxing demands on them (which shows his inexperience in writing for the operatic voice). The orchestral players, under Kirill Karabits, are on top of their game and give us a weighty performance with piercing brass and thrusting strings that have been captured in top quality sound by the Audite team. This release, which also includes the symphonic poem Mazeppa, is an important addition to the range of works by Liszt that have appeared on record. However it has far more than mere curiosity value: Trippett’s reconstruction sounds authentic and whilst listening one can imagine that it was completed by Liszt! Thus we have a fascinating reconstruction and performance that I can recommend to all listeners who are willing to branch out from the ordinary. I can see myself returning to this recording more than once – well done to all involved in this enterprising project.